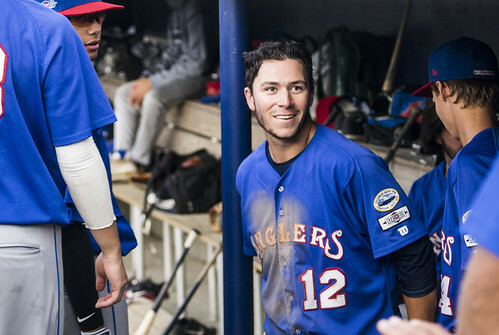 Since falling to the Orleans Firebirds on Monday, the Chatham Anglers (14-12-2) have been on a roll, winning four of their last five games and catapulting to second place in the Eastern Division. Before the team goes to Fenway Park on Monday for the CCBL Showcase, the A’s have two important divisional matchups to play first against the first-place Yarmouth-Dennis Red Sox and the third-place Harwich Mariners. Some of Chatham’s power bats struggled when they first came to the Cape, but they have seen improved at-bats and results over the past week. Drew Mendoza (Florida State) — who was hitting below the Mendoza Line for all of the season before finally hitting .200 after Friday's game — has boosted his batting average about 40 points over the past four games. He is currently riding a four-game hit streak, the longest streak he has garnered in his two summers on the Cape. One of the hottest hitters on Chatham is Colin Simpson (Oklahoma State). Simpson has the second highest average on the team over the past ten games and is only eight points behind John Rave (Illinois State). Over the last five games, Simpson is hitting .500 and has drawn three walks. Simpson looks much more comfortable at the plate and the results back that up. Friday, the Oklahoma State product hit two of this hardest balls of the season deep in the cavernous Eldredge Park outfield, including one that short-hopped the wall in right-center. Davis Daniel (Auburn) had an uncharacteristic performance in Wednesday’s 9-2 loss to Wareham. Daniel, who hadn’t allowed a run in 11.2 innings of work prior to Wednesday, allowed four runs on seven hits. Spencer Van Scoyoc (Arizona State) surrendered five runs on five hits in relief of Daniel, marking season-highs in both categories. Thursday’s trio of pitchers — Austin Bergner (North Carolina), Troy Miller (Michigan) and Greg Veliz (Miami) — combined to strike out 14 Bourne batters. A day later, Dan Hammer (Pittsburgh) and Jack Conlon (San Jacinto) held the Orleans Firebirds scoreless en route to the Anglers’ second-straight win. The A’s stellar pitching in their last two contests lowered their team opposing batting average to .196, the lowest clip in the league by .036. 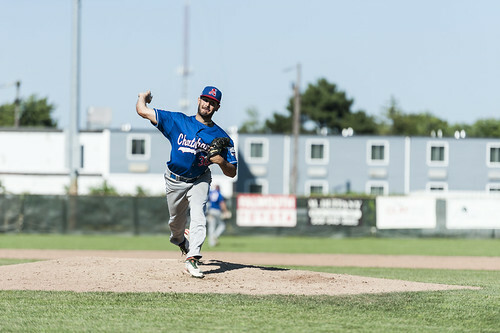 Friday marked Chatham’s joint-league-leading fourth shutout win of the summer. The Anglers’ staff sits one strikeout (257) behind Y-D for the most punch outs in the league. For most of the season, Chatham has not had to deal with injuries. But over the past week or so, the Anglers have seen multiple players pick up knocks. Only one injury has resulted in a player being sent home. On July 9, Zach King (Vanderbilt) was sent home to get an MRI on his arm after he felt discomfort in his last appearance on the bump. Tristin English has missed the Anglers' last four games. For the most part, the players have recovered from their knocks. Greg Jones (UNC WIlmington) — who hurt his wrist diving into home plate to score a run on July 7 — returned to action Thursday and has started consecutive games at shortstop. Branden Fryman (Samford) also returned Thursday after missing four games and Jake Taylor (Oklahoma State) only missed one day with a jammed finger. Tristin English (Georgia Tech) picked up a pregame injury Wednesday and still felt sore Thursday. The Georgia native said he felt much better Friday and was swinging the bat well in batting practice. He could return to the lineup Saturday. The one player who has been in-and-out of the lineup is Ben Ramirez (Southern California). Ramirez first injured his groin doing a workout before Sunday’s game against Yarmouth-Dennis. The California native played the next day before resting Tuesday and Wednesday. He returned to the lineup Thursday, but had to be replaced after three innings when he pulled up gingerly on the basepaths. With Tristin English (Georgia Tech) in-and-out of the lineup due to injury, Michael Busch (North Carolina) has established himself as Chatham’s makeshift three-hitter. Primarily hitting in the cleanup spot since his activation on July 3, Busch has batted third in two of his last four games. The left-handed hitter has adjusted to the wooden bat swimmingly. Busch has recorded a hit in eight of 11 games, including two multi-hit outings in Chatham’s last three contests. Each of Busch’s two home runs have been timely. The first, which came in his summer debut at Harwich on July 3, was a go-ahead two-run shot in the sixth inning in an eventual 13-6 win for Chatham. Busch’s second long ball, a two-run homer in the first inning Thursday, gave the Anglers an early boost en route to a 5-3 win over the Bourne Braves. There has been a lot of discussion about who is going to fill the second closer role. What gets lost when discussing that question is how good Greg Veliz (Miami) has been in that role. The Key West native leads Chatham in appearances with nine, saves with three, strikeouts per nine innings with 14.14 and first-pitch strike percentage with 78.6%). Greg Veliz has struck out 22 batters in 14 innings of work this season. “Fastball control has been huge and then getting my breaking ball over for strikes and then using the changeup against lefties is a pitch I just added on since I got here” Veliz said on the July 10 “Catch of the Day” segment. Despite the right-hander’s success, he is not immune to jams. In only one of his nine appearance has Veliz faced the minimum number of batters over his innings of work — a 1-2-3 ninth inning on July 3 against the Harwich Mariners. Even though he does allow baserunners, Veliz has been excellent at stranding them has only surrendered three runs over 14 innings. The Anglers have back-to-back matchups with Eastern Division foes. First, Chatham travels to Harwich to take on the Mariners on Saturday before returning to Veterans Field to battle Yarmouth-Dennis on Sunday. Broadcast coverage of the Anglers and Mariners on Saturday begins at 5:10 p.m. with the Anglers Extra Pregame Show. Listen to Cooper Boardman and Josh Schaefer on TRZ Teamline or listen by phone at 1-800-846-4700, code 3841. For more information, visit Broadcast Central.